Performance Time: Approximately 45-60 minutes, 52 pgs. CHILDREN’S COMEDY. Whoever heard of a rabbit that can’t hop? 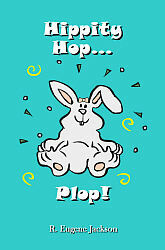 Whenever Hippity, a young bunny, tries to hop, she goes plop and falls down! Tired of her siblings teasing her, Hippity ventures into the forest to find someone to teach her how to hop. In the forest, Hippity encounters an owl that flies, a duck that waddles, and a frog that leaps. But it seems no one can help Hippity learn to hop until a hungry brown bear happens upon her path and shows her how to hop…away, that is! Adorable characters abound in this delightful play for young audiences.